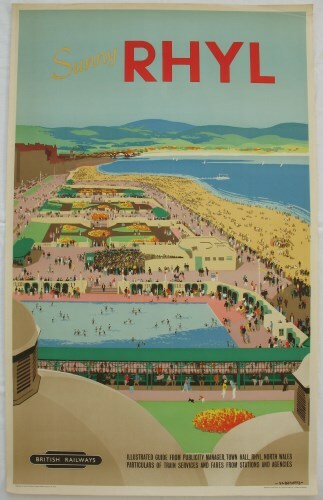 Lot 46 D/R Poster 1953 BR (LMR) "Sunny Rhyl" by Verney Danvers. A busy view of North Wales seaside activities. Excellent rolled condition.